Tucson, Arizona – Tucson resident Maria Sweeney of 73-year-old is getting ready to run the obstacle course race in Lebec, California. 73-year-old Maria trains for the upcoming race called Spartan SoCal Beast and Sprint obstacle. 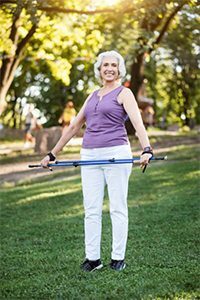 Maria Sweeney began to take part in Spartan competition at the age of 70, despite having several health issues. Her daily training features lifting weights, going up and down in the Tucson Mountains, running and so on. Since 2015, Maria has completed in 54 obstacle-course races. Moreover, among those races were also physically demanding ones. Next Spartan competition she is getting ready will take place in South California in two weeks. Former administrative assistant from the Tucson Unified School District’s special education department, intensively exercise, even though she has several health issues. As a result of a car crash involving a drunk driver about 12 years ago she acquired the degenerative disc disease. According to Maria her physical pain diminished when she started to work out. She said this completion was sent to her from God. On October 20-21 Maria will be running a 12-plus mile ‘’Beast’’ race over tough terrain at Tejon Ranch in Lebec, California. According to Spartan spokeswoman Shannon Flyyn, the competition will feature 30-plus obstacles, such as climbing the hills, heavily wooded valleys, as well as rope climb. 73-year –old Maria is an inspiration for other elder woman to take part in the race. Her daughter said she is proud of her mother and love seeing her in action.